blacking of metals in room temperature. Air shafts for paper industrie and polygraphy. 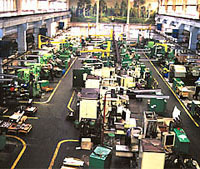 Injection moulds as well as plastic products.